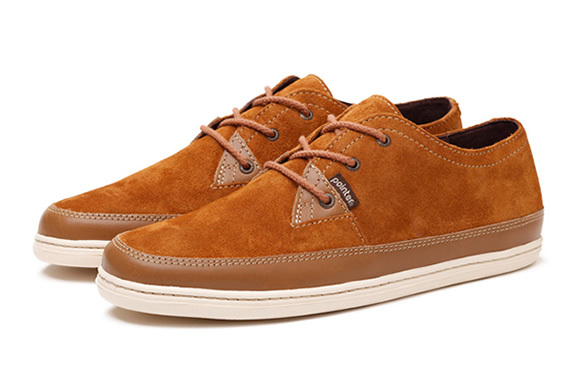 Another nice stylish shoe by british brand Pointer, a low cut trainer, keeping it simple as we like. 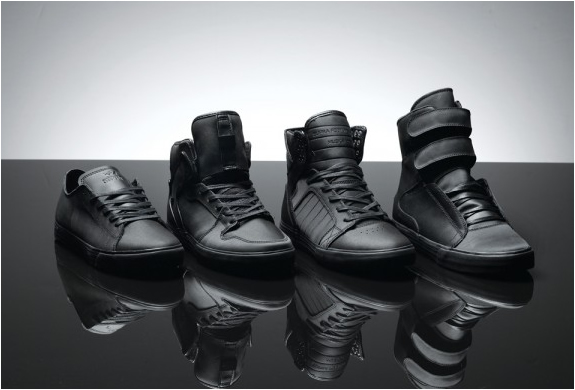 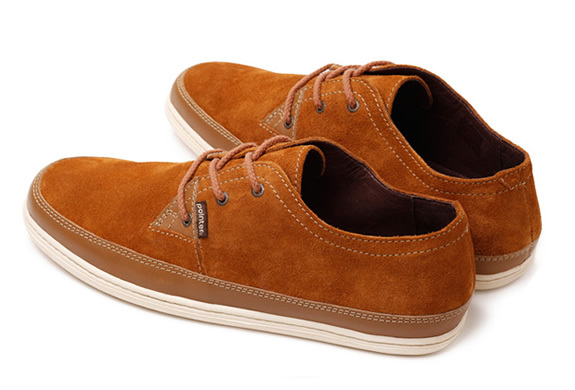 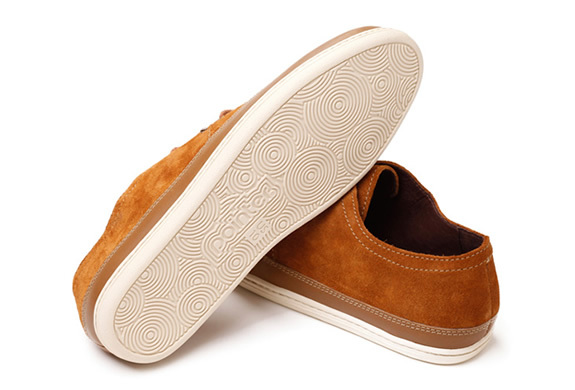 It has a suede finish with a smooth leather surrounding trim, gum sole and subtle tongue and heel detail. 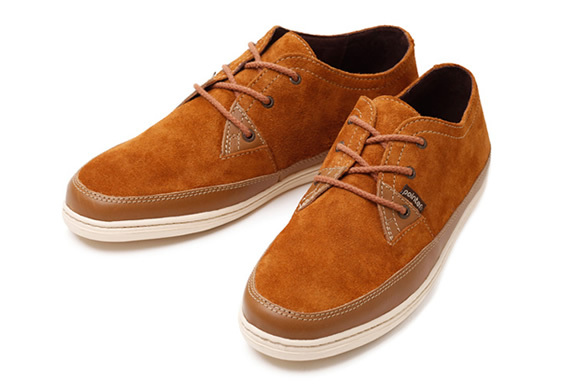 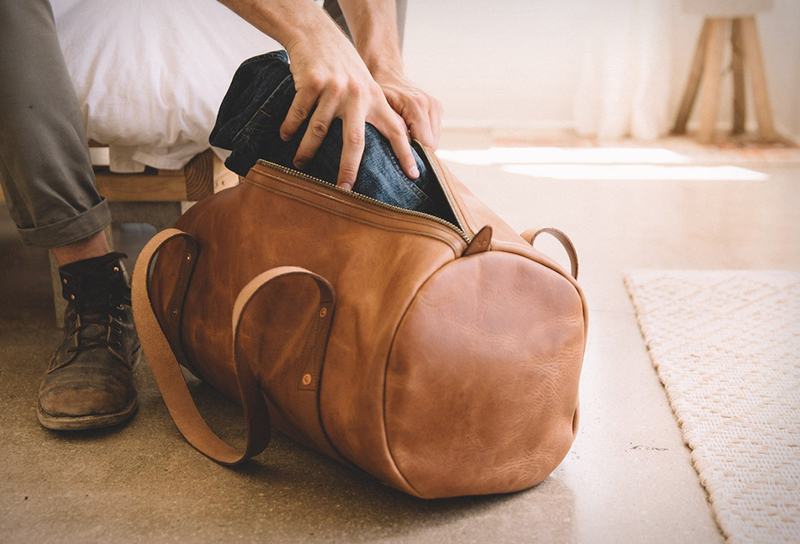 The shoe is available in four colors, are favorite is the Tan/cream featured here.